Temecula is one of Southern California's top destinations. Diners savor the local culinary scene daily with specially priced, prix-fixe menus; RestaurantMonth.org. Celebrate daily with special hotel-resort packages, romantic dining, spa indulgences, wine tastings; WineCountryRomance.com. Friday night offers chocolates, pastries, sparkling and dessert wines; Saturday afternoon, fine vintages and distinguished cuisine. Hundreds of fine, classic vehicles, hot rods, and custom cars converge in Old Town Temecula. For Friday Night Cruise, vehicles roam; Saturday Show-and-Shine, detailed, parked vehicles get close-ups. Temecula Valley Wine Country offers two days of wine samples and delicious food pairings. Temeculas Western glory days began in 1849 with the California Gold Rush and spanned more than a century. 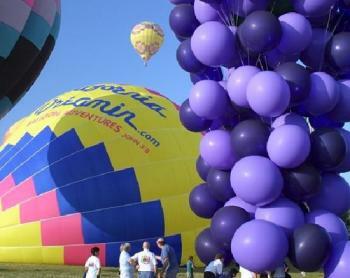 Colorful event features dawn, hot air balloon ascensions, evening balloon glows, wine tasting, and live concerts. Dozens of microbreweries participate; attendees savor craft beers to a background of live music. Enjoy great theatre (Julius Caesar, Romeo and Juliet, Twelfth Night) with the vineyards of Temecula Valley serving as a backdrop. Revel in creativity in Old Town Temecula. Lavender field adjoin Temecula Lavender Companys merlot vineyards. Admire lavender; shop the lavender farm-stand. Live bands (blues, tribute, Zydeco, beach, big band, rock, country) play throughout the historic district. A special Temecula Valley SIP passport enables visitors to taste some of the valley's great variety of award-winning wine styles. Join Temecula Valley winery owners, winemakers, and growers; this is one spectacular, wine and food event. Hundreds of handmade quilts hang from banisters and along storefronts; event includes quilt sale and auction. Fine artists paint outdoors daily using Monet and Renoirs technique. Two, fun-filled days of food pairings with barrel and tank wine samplings of finished and unfinished wines. Wonderful sights, sounds, festivities, events, and activities, span from Old Town Temecula to Temecula Valley Wine Country, and from Promenade Temecula to Pechanga Resort & Casino. Temecula is one of Southern California's top destinations. Whether you’re visiting, you are a local resident, or looking for a night in the town, Temecula has something for everyone. Conveniently located just a short drive from all the major Southern California destinations, and nestled among picturesque vineyards Temecula is your ideal destination for your next vacation or getaway trip!